Dior Nail Glow? More like Dior Nail Whoa, am I right?! 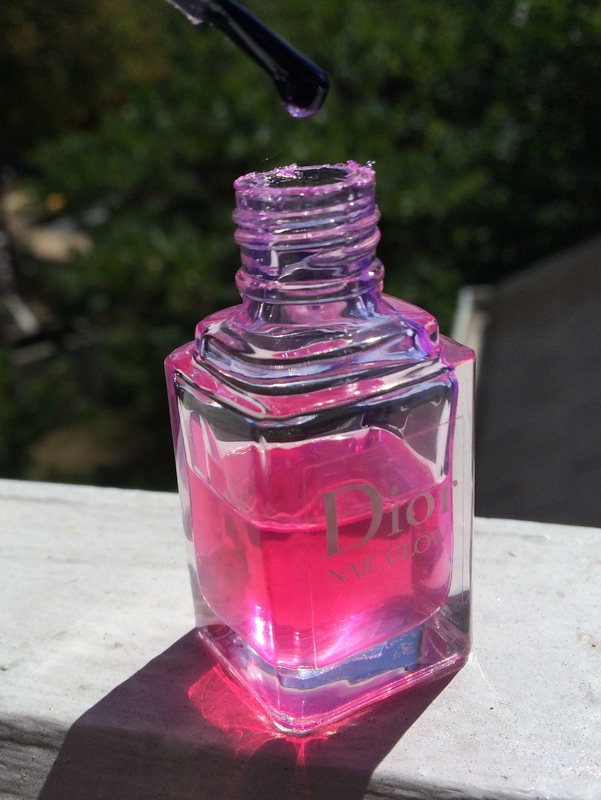 Dior Nail Glow ($25 for 0.33 oz.) is one of those products that I second-guessed myself on all the time in the beginning. $25 for clear nail polish? Psssshh. But pretty soon, I noticed that the bottle was half-full and realized that it had become my go-to polish for lazy days (i.e., most days). 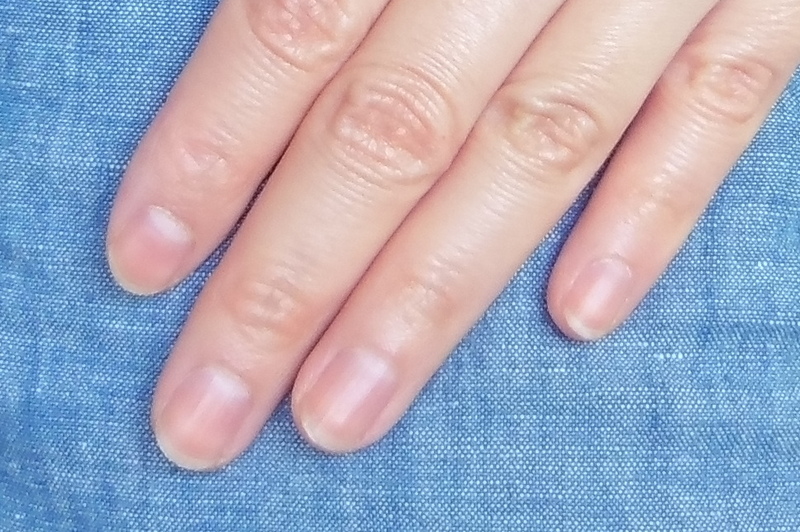 It does exactly what it says: the pinks of your nails look pinker and the whites (or yellows as it may be) look whiter. Let’s be real, no one will think you have a French manicure. But it does make your nails look naturally healthy and shiny. They just look polished in all senses of the word. 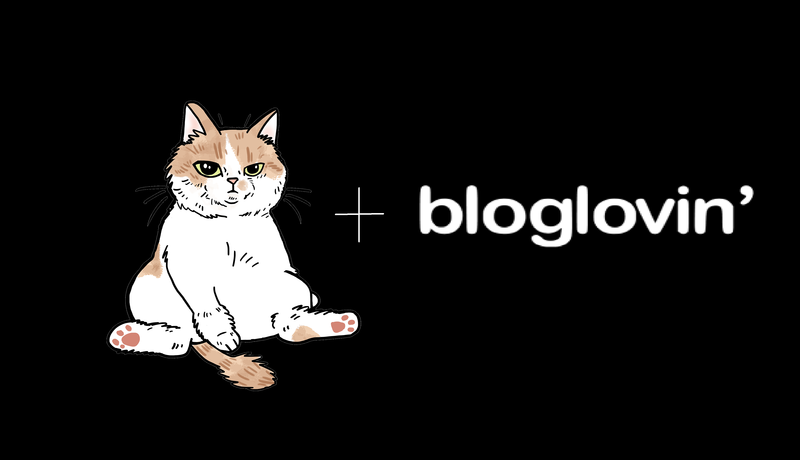 The formula is tinted bright, cool pink. You can see the cool bluish tones on the brush in the photos below; the blue counteracts any yellowness in your nails. 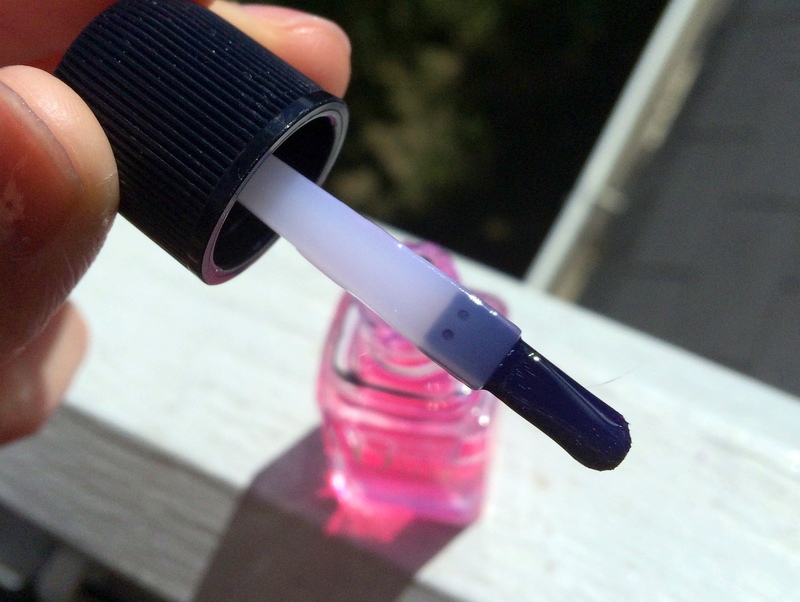 The polish is as easy to apply and quick to dry as clear nail polish. I also like the wide paddle brush, which is curved on the sides to fit the contours of your nail. I usually apply two coats (no basecoat or topcoat necessary). The nearest competitor I can think of is Perfect Formula’s Pink Gel Coat. It’s much cheaper at $30 for almost twice the amount of polish and also promises to strengthen and harden nails. 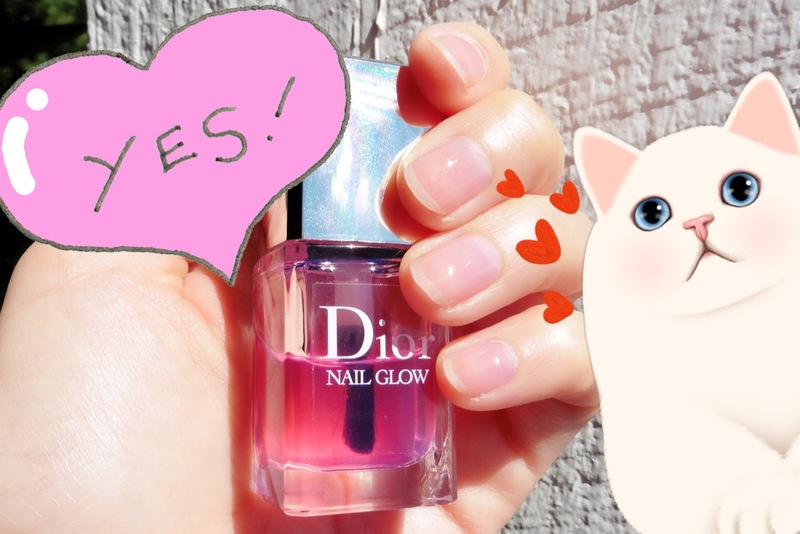 In comparison, Dior Nail Glow promises nothing beyond improving the cosmetic appearance. 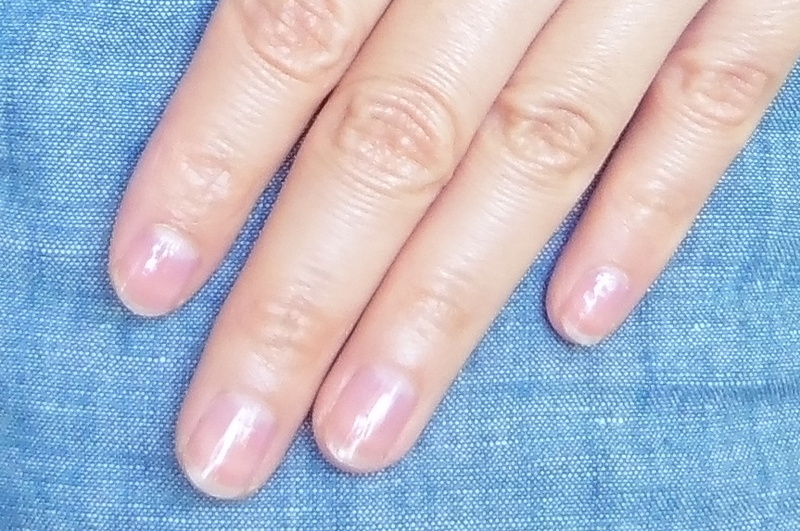 I tried Pink Gel Coat long before Dior Nail Glow came out and ended up returning it because the color was too blue-toned. As in my nails looked like they belonged to an ice zombie with its circulation cut off in certain lights (especially on cloudy days). 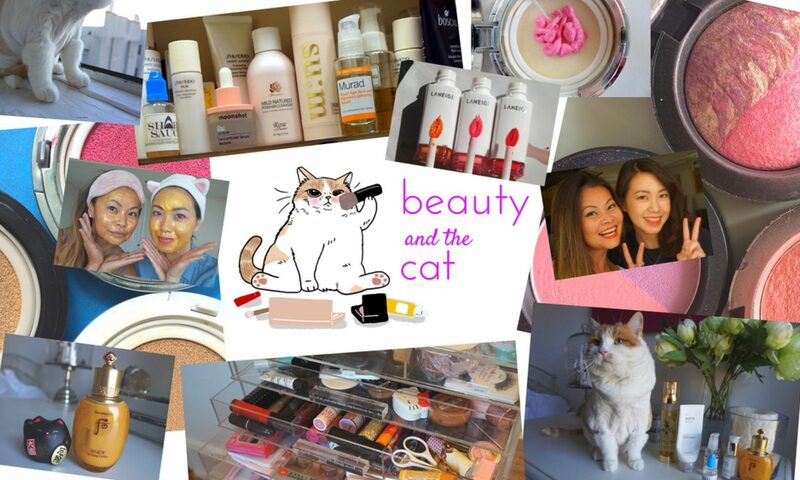 Enjoy innovative beauty products? Vote for Sun Pearls, my idea for a moisturizer+sunscreen in travel-ready capsules. Leave it to Dior to make a polish with just the right amount of blue and which only ever makes my nails look healthy and alive. So I can’t believe I’m saying this, but I would totally pay $25 again for clear nail polish. One coat. 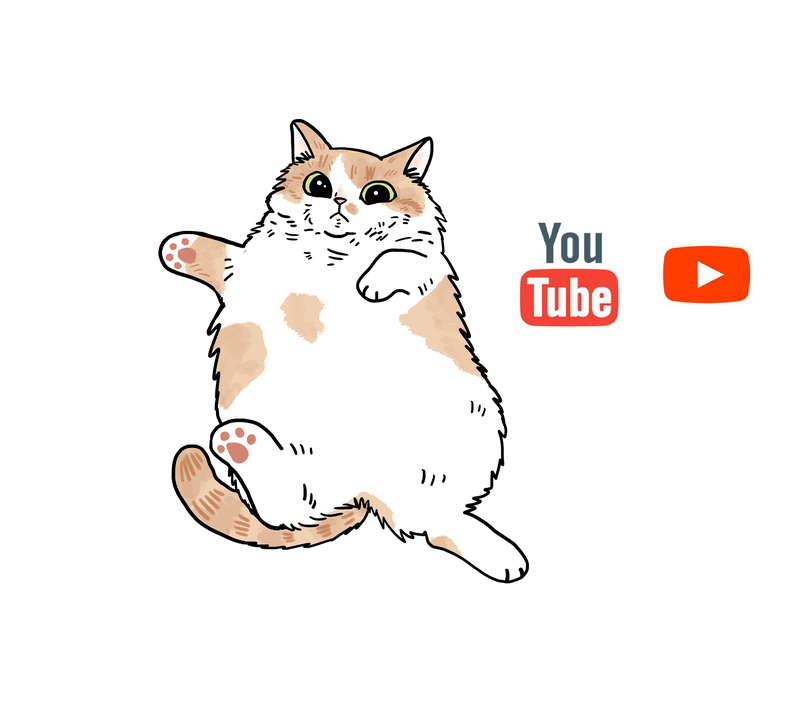 Now we’re talking . . .
Pros: Really brightens the appearance of nails. Dries quickly. Brush design makes for easy application. Polish hasn’t thickened after over a year. Cons: Wears out quickly (3-4 days). Can’t counteract extreme yellowness. CategoriesAngela, Nails TagsDior, nail polish, Worth It? 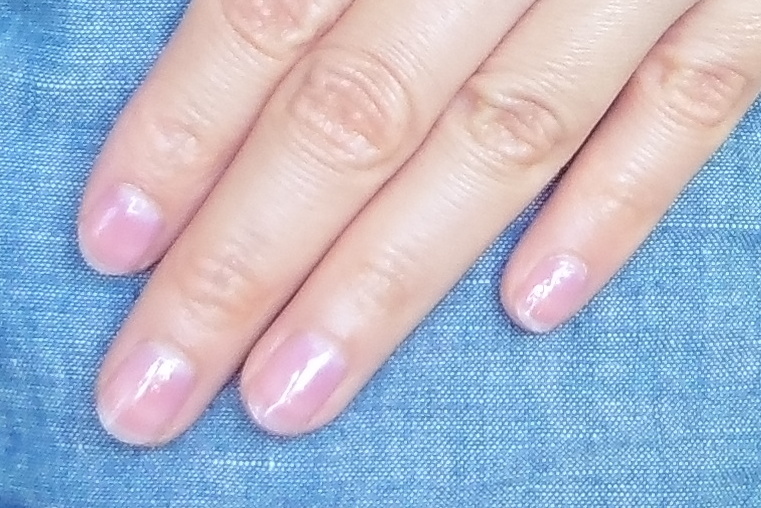 I was just debating this and I really like how blue toned the pink is in pink gel coat so I do believe u just talked me out of buying the dior but grateful not to be sad its not the right color (I STILL have a bobbi brown white brightening gloss I still haven’t taken back and prob never will. Oh good! 🙂 It’s just a matter of how a polish works for you. 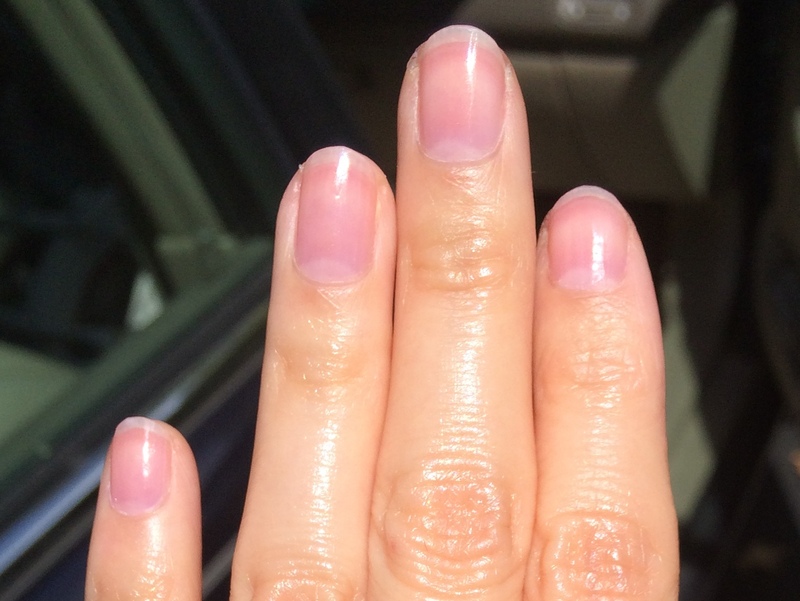 If Pink Gel Coat works, no need to spend money on the Dior.